Eventually the cabinet resolution of the Kingdom of Thailand endorsed the Occupational Safety, Health and Environment Act (the OSH Act) This OSH Act must be considered as the remarkable milestone of one step further achievement of OSH in Thailand after decades of the continuum of supplication by Thai labour unions and labour councils. The crucial issues stated in the OSH Act which are deemed as the turning points and worth to be marked are as below. Clause 3: Even though the OSH Act shall not be enforced on government agencies, it prescribes that the government agencies render OSH standards on occupational safety and health management as such standards shall not be lower than stipulated by this Act. Therefore, the OSH Act shall be applied in all genres of establishments and agencies resulting in the comprehensive protection of Thai workforce on OSH matters. Chapter 5: Safety Inspector: Prior to the endorsement of the OSH Act, trained labour officers were stipulated by law to act as labour inspectors whose responsibilities engulf the inspection of establishments on OSH legal errands. An outstanding disadvantage of labour inspectors acting as safety inspectors is that they do not incur distinctive OSH knowledge and experiences that furnish the expertise on OSH inspection. Therefore, the covenants on “Safety Inspection” per se by the OSH Act shall augment the accuracy, reliability and capability of OSH law enforcement so that the inspection on OSH issues shall be more virtuous and effective. Chapter 6: Safety, Health and Environmental Fund (the OSH Fund): The OSH Fund shall serve as funding for OSH operations and activities such as OSH promotion campaigns/projects, OSH research and development, and loans for the OSH improvement of establishments. The OSH Fund shall be directed by the OSH Fund Administration Committee which comprises of fifteen committee members; five each from governmental sectors, employer representatives and employee representatives. The Director General of Department of Labour Protection and Welfare is determined to be the chair of the committee and a civil service officer from Department of Labour Protection and Welfare shall be appointed by Minister of Labour as the secretariat of the committee. The OSH Fund shall be set up with grant from Thai government and further grants for operating from various sources such as fine/penalty, government subsidy, donation, and the return on investment. 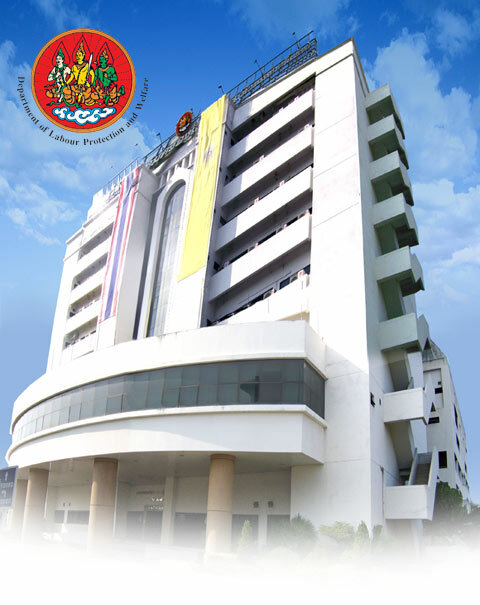 Chapter 7: The Institute for the Promotion of Occupational Safety, Health and Environment Promotion Institute (the Institute for the Promotion of OSH): The Institute is responsible for promoting and supporting errands concerning occupational safety, health and environment in Thailand. In addition, the Ministry of Labour must establish the institute within one year after the OSH Act becomes effective as well as the institute must be an autonomous organization under the supervision of Minister of Labour, Ministry of Thailand. Altogether, the Institute for the Promotion of OSH shall be able to actuate more dexterously and promptly on OSH promotional and technical concerns with minimal administrative bureaucracy, which shall account for reinforcing and raising OSH standards in Thailand.